From 1836 to 1874 ranging companies were called into temporary service to deal with specific threats. These companies of "mounted gunmen" and "rangers" were activated for short periods and disbanded after the crisis — or when funds ran out. In 1844 problems with Comanche raids and the threat of invasion from Mexico made it necessary to defend the western and southwestern frontiers. 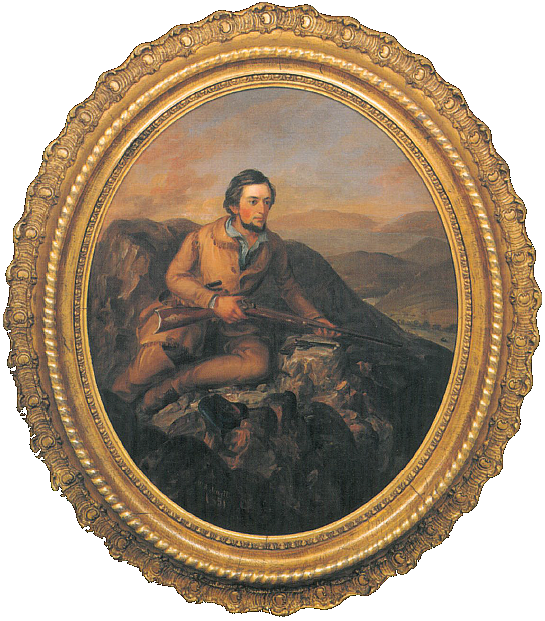 Texas turned to a notable and dashing young Ranger commander, John Coffee Hays. 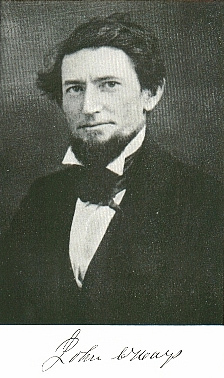 Hays established himself as a natural leader whom grizzled veterans, it was said, would follow to their deaths if asked. Hays and his men would literally save the Republic of Texas on more than one occasion and rescue the U.S. Army in the coming war with Mexico. Hays formed the Texas Rangers into an unorthodox, highly effective "special force" capable of moving fast and operating behind enemy lines. He incorporated Indian guerrilla tactics, adopted centuries-old Hispanic styles of frontier horsemanship, and introduced new technology such as Colt's five-shot revolver and revolving rifle. Authorizing John C. Hays to raise a Company of Mounted Gunmen, to act as Rangers, on the Western and South-Western Frontier. Section 1. Be it enacted by the Senate and House of Representatives of the Republic of Texas in Congress assembled, That John C. Hays is hereby authorized to raise one company of mounted gunmen and that the said John C. Hays shall command the same, and the said lieutenant, shall be elected by the members composing said company; the said company shall be organized by the first day of February, A. D. one thousand eight hundred and forty-four, or as soon thereafter as practicable, and so soon as organized and reported, shall be received by the President, for the services herein expressed. Sec. 2. Be it further enacted, That each man admitted into the service of said company, shall be well mounted and well armed, at their own expense. Sec. 3. Be it further enacted, That the said company shall range on the Western and South-Western frontier, from the county of Bexar to the county of Refugio, and westward, as the public interest may require. Sec. 4. Be it further enacted, That the Captain of said company shall receive the sum of seventy-five dollars, per month; the Lieutenant the sum of fifty dollars per month; and each private the sum of thirty dollars per month, while in actual service; and that each member of said company shall receive pay for his services, at the expiration of every two months; and the Captain of said company is, hereby, made the disbursing officer, on his giving bond and security, to the amount of five thousand dollars, for the faithful performance of his duty. for rations and forage, and that the sum of seven thousand one hundred and forty-one dollars and sixteen cents be, and the same is hereby, appropriated, to carry into effect the provisions of this act. should he in his judgment or opinion, believe the public interest or safety requires it, and in such event, a sum sufficient is, hereby, appropriated to carry the same into effect, according to. the estimate, terms, and provisions, of the foregoing recited act. Sec. 7. Be it further enacted, That this act shall take effect, from and after its passage. of the Republic of Texas by Authority, Houston: 1844.